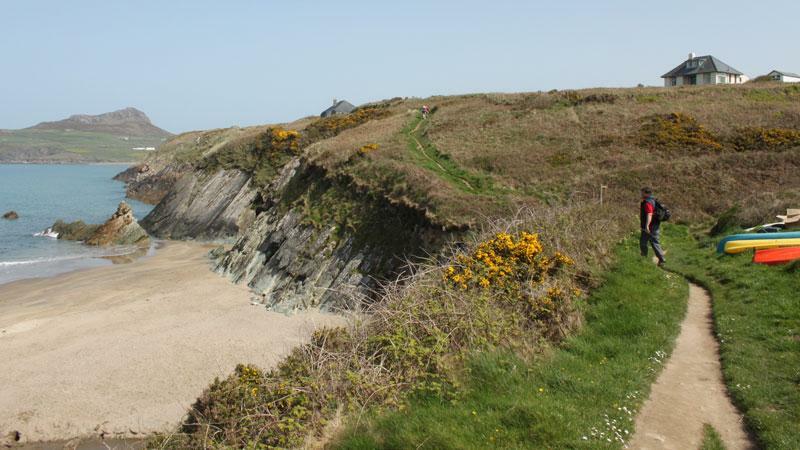 The Ceredigion Coast Path follows 60 miles of dramatic coastline on the west coast of Wales. Secluded coves, sandy beaches, rugged clifftops and charming fishing villages are some of the highlights along the path. Much of the walking follows the designated Heritage Coast which fringes Cardigan Bay, recognised for its unspoilt areas. 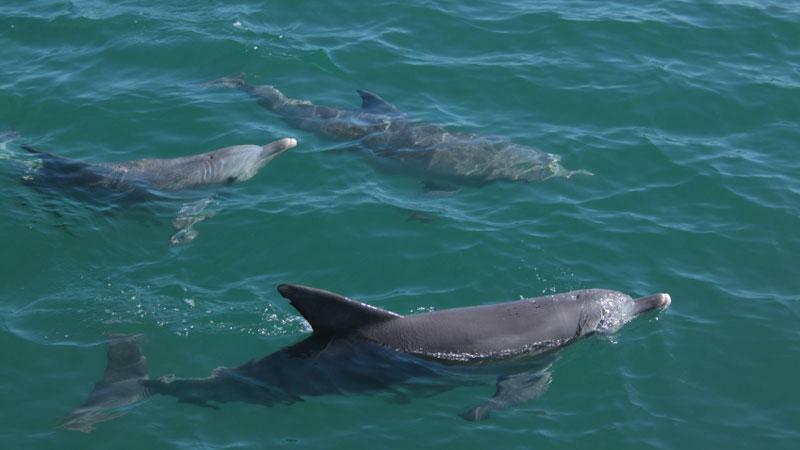 Scan the sea for bottle nose dolphins and listen to the calls of seabirds that thrive in the coastal habitat. Stroll off the path to one of the many sandy beaches to relax and enjoy the tranquil surroundings. 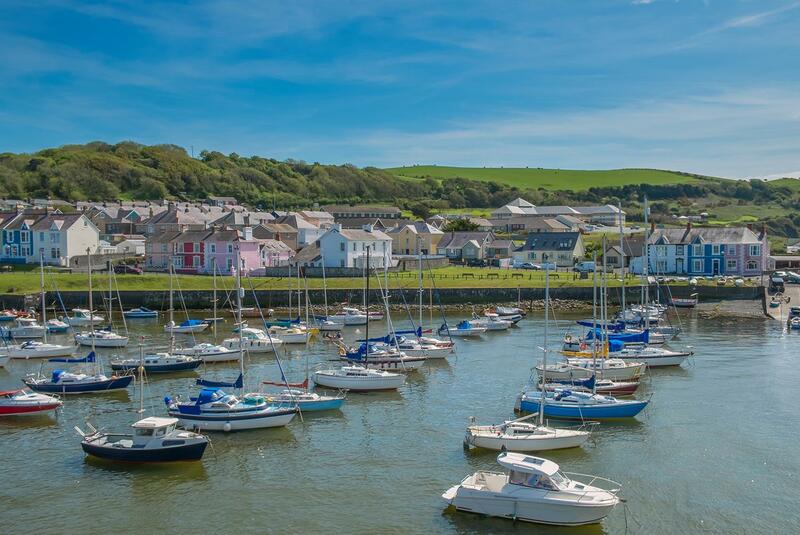 The Ceredigion Coast Path starts in Cardigan and finishes in Yns-las, linking the Teifi with the Dyfi Estuary. Leaving Cardigan you quickly appreciate the tranquil beauty of the area and from Aberporth you enter the Heritage Coast where you can marvel at the waterfall at Tresaith. 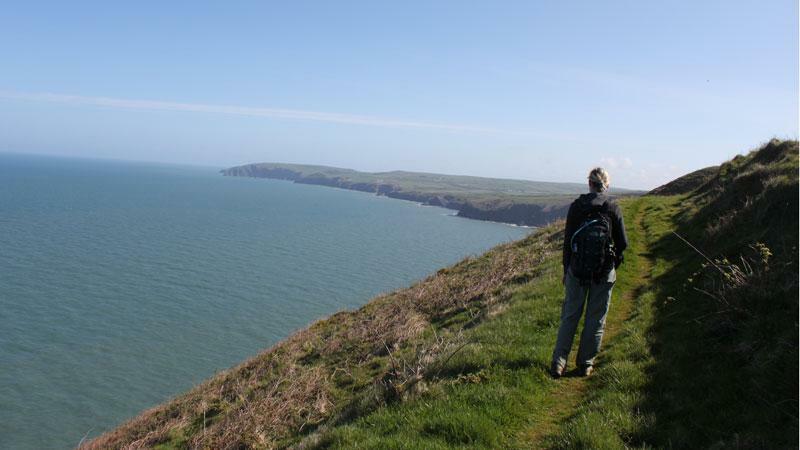 A couple of tough, steep climbs follows and from Llangrannog to New Quay you follow the most spectacular area of the Ceredigion Coast Path, which is rugged and remote. A mixture of low flat walking and the coastal path follow, heading inland slightly before reaching Aberystwth and finally past Borth to the end at Yns-las. From Cardiff you can catch the train to Carmarthen (1hr 40 mins) and then catch a bus to Cardigan (1hr 35 mins). Alternatively if you are taking your car you can park in either of the 2 designated long term car parks in Cardigan. Arrive early and visit the Heritage Centre, pick up any last minute essentials before setting off in the morning. Starting from the bronze otter on the north side of the river Teifi the coastal path begins its northern journey. The first half of this day does involve some road walking but from Mwnt onwards you start feeling like you have left the pace of modern life behind. The views across to Cardigan Island (a nature reserve) are spectacular. Towards the end of the day the path heads inland to avoid the MOD base and after a narrow winding road you reach Aberporth. The beaches at Aberporth are worth a visit before you head up the coast today. Tresaith follows with its spectacular waterfall where the river plunges to the shore below. 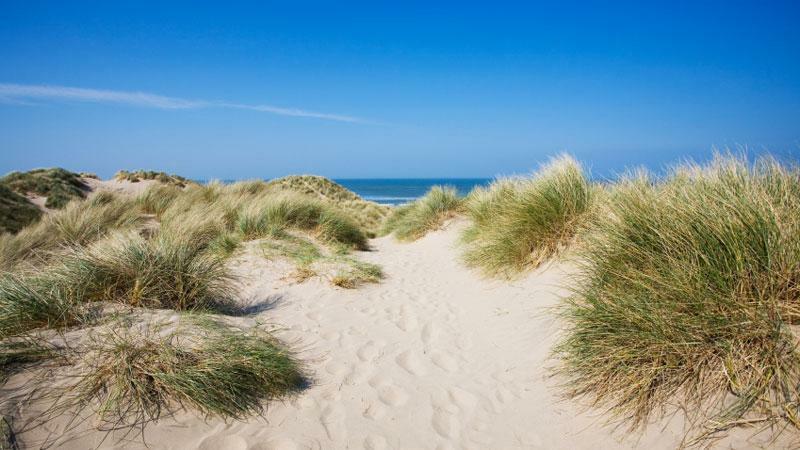 The magnificent beach of Penbryn is another highlight with its untouched sand dunes on either side. From here to Llangarrog is one of the toughest sections of the walk, it is not even 2 miles long but involves a couple of steep climbs. The rest of the walk on to Cwmtydu is fairly strenuous but you will be delighted with fantastic scenery as you walk along the path which is cut into the coastal slope. 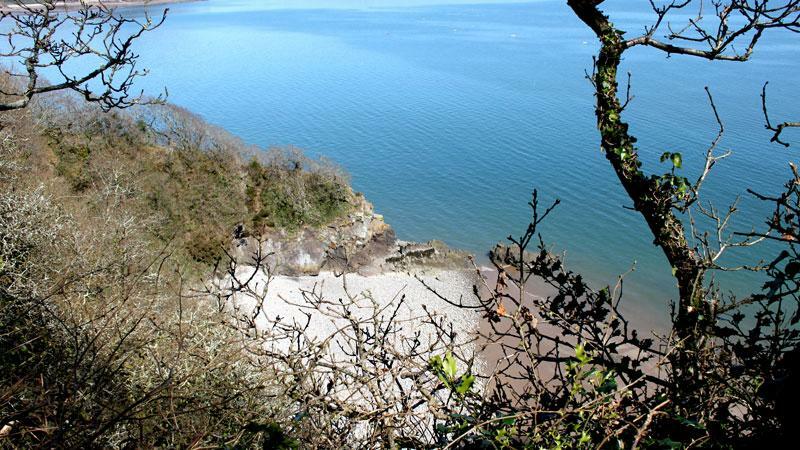 The first section to New Quay is an excellent walk with some examples of fantastic rock formations. Great cliff top walking prevails until you reach Bird Rock—Ceredigion’s most important breeding area for seabirds. You may even catch a glimpse of guillemots, fulmars and razorbills. From New Quay you can follow the beach at low tide to Cei Beach where you stop for a well deserved break. The last stretch of this leg heads inland but it's not too long before the cliff top views return. The first couple of miles on this section are very easy going along the coastal flats. There are two routes that can be taken through Llanon either through the village or the foreshore. Heading on up to Llanrhstud you head slightly inland and one of the highlights on this section is Craig-las where you can see four lime kilns in a row. This stretch is one of the most remote sections of the Coast path, it is challenging but extremely worthwhile. One of the highlights on this section are the Penderi Cliffs where seabirds come to nest and where all the sessile oak trees have been stunted in growth due to the strong winds. Spend time strolling around Aberystwyth town and visiting the castle before heading up along the final section of the path to Ynys-las. Constitution Hill is the first point of interest where you get fantastic views over Cardigan Bay, with its cafe and camera obscura its worth taking a break here. The section from Clarach to Borth is strenuous and when you reach Borth you have to see what the tide is doing before chosing to walk either along the beach or inland. The walk finishes in Ynys-las where the sand dunes are part of the National Nature reserve at the Dyfi Estuary. Accommodation will be back in Borth, so you can catch the hourly coastal bus back to your accommodation after the walk, or you can walk back if you prefer! One of the highlights of this tour is the standard of the accommodation. You will stay in carefully selected B&B’s, guesthouses, country pubs and small hotels. We will always try and book en-suite rooms wherever possible. A hearty breakfast is included each morning. Lunch and dinner are not included but will be available either at your accommodation or nearby pubs and restaurants. There is a great wealth of information on the Ceredigion Coast Path website and this also has up to date diversions so it is worth a look before you set off on your walk. 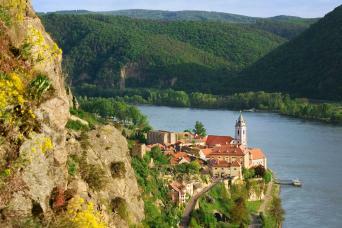 Our itineraries and guide book are written from South to North although the itineraries can be reversed if required. Many of our clients choose to add extra nights along the walk to sample more of the wonderful walking and attractions available on the Coast Path. Cardigan, Aberystwyth and Borth are great choices for extra days. The Ceredigion Coast Path is waymarked with wooden posts. 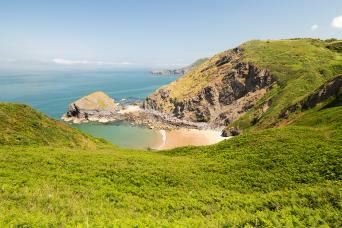 The walk is on well-maintained footpaths, clifftops, beaches and woodland trails. It does involve some steep ascent and descent especially in the Northern Sections of the Path. This walking holiday is available to solo walkers but as we incur additional baggage transfer costs there is a solo walker supplement payable. If you are coming from Cardiff then the best option is to get a train to Carmarthen (1hr 40) then take a bus to Cardigan (1hr 35). From Swansea the train takes 50mins to Carmarthen and then the bus (1hr 35) which is the best option. If you are taking your car you can park in either of the 2 designated long term car parks in Cardigan. There is no accommodation in Ynys-las so we will more often than not book you in to Borth for your last overnight. By Train—There is a train station in Borth and from here you can catch the train to Aberystwyth (25 mins) where you can connect for onward travel. Bed and breakfast accommodation in ensuite rooms wherever possible. A detailed info pack, guide book and map. We are often asked the following questions, and we hope that you will find the answers useful. Please don’t hesitate to contact us if you have any other questions. We offer a range of itineraries with differing daily distances so you can find an itinerary that suits your preferred level of activity. If you currently don’t enjoy an active lifestyle, we suggest regular walking in hilly terrain supplemented by cardiovascular exercise before your walk. A good gym or personal trainer will be able to draw up a personalised training programme. We suggest you book as soon as your plans are finalised as the Coast Path is extremely popular especially over April/May and July/August. You will find up to date availability on our website, and we will always try and accommodate your plans. What is the largest group size you can accommodate on this trip? This walking holiday is best enjoyed between March and mid-October. Springtime weather can be changeable but usually the driest time of year. Autumn is another good time to walk with the path being less crowded, and the weather should still be good. Such a great trip. Not a "walk in the park"! We only met 6 other walkers doing the same route in 5 days. Some stretches are quite challenging with steep climbs and the path is quite remote for much of the way. It important to be prepared for changes in the weather, and have enough food and drink to keep you going. Parts of the path are not suitable for anyone who suffers from vertigo(seriously!) and both of us wish we had walked in boots rather than hiking shoes. in summary - a stunningly spectacular hike, with some challenging stretches, but worth every step! We had a good week's walk and enjoyed varied and interesting accommodation. The only complaint would be at Newquay where we were treated in a very off hand way - when we arrived I took off my boots to go to reception only to be told rather rudely,that I couldn't come in without shoes! and was then asked to pay £80! We had a warm welcome everywhere else and enjoyed friendly hospitality. My only complaint overall was that we had to pay £73 for a taxi back to Cardigan when all the information beforehand was based on a return by public transport. I would have welcomed an offer by Macs Adventures to repay at least part of this expense. Booked my break on the Ceredigon Coast path rather last minute but the team at Macs were very helpful. Literature, instructions and maps etc were all very good. Luggage elves all seamless and very impressive. On the whole reasonably happy apart a hiccup with a taxi transfer and the standard of one evenings accommodation. Taxi situation sorted following a few phone calls to taxi firm (who didn't know they were supposed to pick me up) and finally a call to Macs emergency number. Anyway a helpful barman got me an alternative ride (which by the way Macs have agreed to settle) to my hotel on a sleepy Sunday evening. I arrived less than 30 mins before last food orders but I managed to throw off my muddy gear, take a quick shower and sprint down to the dining room with minutes to spare! Accommodation was described as comfortable so I knew what to expect. Standard was as I might have anticipated with the exception of the night in Aberystwyth. The proprietors were very helpful so no complaints there its just not what I was expecting and very, very basic with shared bathroom/toilet facilities (a first for me! ), although lack of ensuite was stated in the itinerary. I'm guessing though that booking only a week or so ahead caused some difficulties in finding accommodation but I would remark that I travelled out of season. Apart from the two blots above it was overall a pleasant experience. Somewhere in large fields signing could be hard to find (if any). But generally the path is fine, ot too much tarmac walking. Walking solo I really enjoyed the variety of scenery and interesting places. Friendly accommodation. Good accommodation some superb.To help future clients I would suggest two things.Firstly if using Merwerydd b&b for walkers going south to north they should get a taxi from Aberaeron and NOT walk along very dangerous A487.Secondly if using The Penrallt going south to north on reaching the Quinetic main gates turn right up Hilltop Way and not go down to Aberporth this leaves you only a few hundred yards along main road to reach hotel.Then retrace steps the following morning.Thank you for organising such a pleasant trip. The first two legs were very hard. Steep doesn't do the terrain justice. Quite treacherous mud, paths very close to the edge, lots of slippery steps. Difficult to really get a shift on. I found poles essential. I wouldn't walk those first legs if it had been raining hard. The rest, was moderate as described. Our luggage was moved without problem, and I really liked the mix of accommodation - I'd stay in The Penrallt; the Pebbles&York and the Goitre again, and the Cambrian Inn although basic had great food and owners - they even made me pizza for breakfast when I fancied it. All hosts were friendly, helpful and breakfasts were up to requirements - filling, hot and generally acceptable quality. To escape the Doha heat! A great variety of accommodation ranging from hotel with leisure facilities to a traditional seaside B&B. Good food at all. A couple of the days were tough going & some of the indicated distances, I'm sure, were 'as the crow flies' rather than those actually walked.... well, it felt like it anyway!! Overall, very enjoyable. If you enjoy coastal walking with cliff top views and plenty of wildlife then this could be the walk for you! The perfect length for a weeks walk or to follow on from the Pembrokeshire Coast path for the more adventurous.